I really want to love it, and in some ways I do. 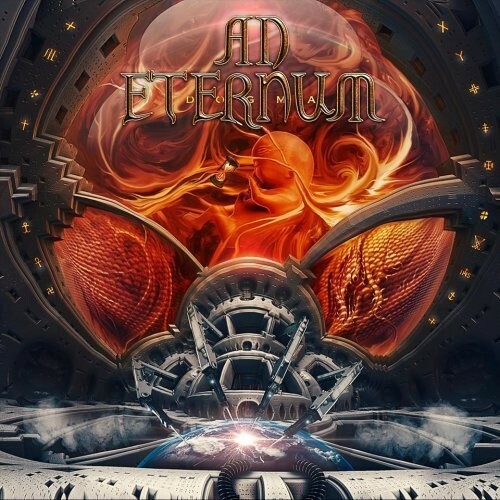 Hailing from Biscay, in the Basque country of Spain, Ad Eternum are a quintet: Paxta (vocals), Sergio (guitars), Txutxi (guitars), Bobby (bass guitars) and Juanjo (drums) are purveyors of "old school" Heavy Metal. Think Iron Maiden, Manowar (particularly the vocals), Anvil etc, and you'll be getting the idea. They also sing solely in Spanish, which I cannot help but feel is going to limit their international appeal. The album is very well played musically, very well produced, so therefore is sonically very pleasing. For an unsigned band they have really excelled themselves. Again though, there is nothing new or truly individual here, and that is a concern – where is their own identity? Yes, the use of their native language sets them apart, but that is simply not enough. Paxta's "cod" operatic, Eric Adams-style vocals will either enthral you or leave you laughing queasily. It's sad to say I fall into the latter camp, as it just sounds so ... oh I don't know, they just make my teeth grate personally. The music is solidly eighties "True Metal", and I could imagine the "Magic Circle" Manowar festival audience embracing them manfully! I will admit to quite enjoying 'Guardian Entre Las Sombras' (Guardian In The Shadows), except for the vocals. I'm sorry, I know I'm banging on a bit, but damn it, the more I listen, the more I want to throw heavy things at people. 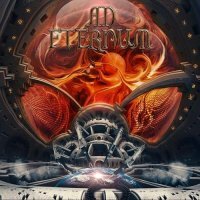 Album coda 'Sigo Aqui' (I'm Still Here) is the best on the album; it's skilfully executed, and is a true Metal epic - I find myself smiling approvingly throughout.